Hanoi (VNA) – The young photographers’ festival 2019 was launched in Hanoi on March 26 by the Department of Fine Arts, Photography and Exhibition under the Ministry of Culture, Sports and Tourism. The event creates a great opportunity for young photography lovers in the country to exchange and introduce their creative works. It is also an occasion to promote the image of Vietnam’s land and people to domestic and international visitors. Director of the department Vi Kien Thanh said the biennial festival is designed for photographers aged between 18 and 35 with the aim of encouraging their creativity. Themed “Vietnam Today”, the festival receives entries in two categories: “reality” photos and “conception” ones. Participants could submit a single photo or a collection taken in 2018 and 2019. The photos are saved in the form of digital image file with JPG format, capacity from 5-12Mb and 300dpi resolution, and they must not be published or displayed in any national or international contests held by the department. 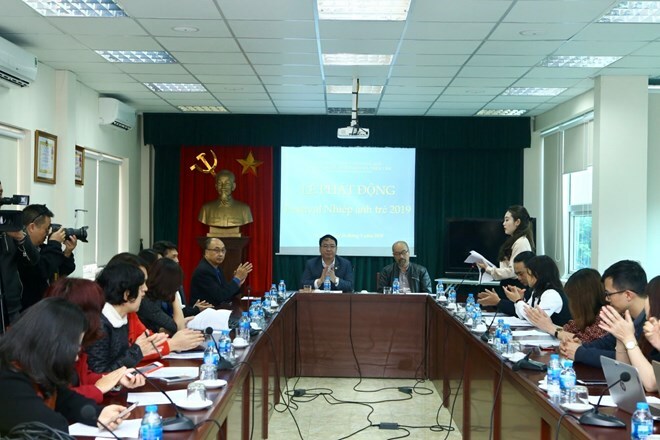 The content focuses on reflecting the contemporary life of Vietnamese youngsters, people in general and culture, the national building and defence, and the activities of overseas Vietnamese. The entries are submitted from the launching day to July 15, 2019, at the website: festivalnhiepanhtre2019.com. About 200 best works will be selected for display at the exhibition which is scheduled to be held in Hanoi on the occasion of the 65th anniversary of the capital’s liberation day (October 10, 2019).